Van stage performance, workshops, circus performers, giant board games, face painting, water park and fireworks. Come to Sunset for an afternoon of family fun. There will be a petting zoo, a bouncy castle, face painting, food trucks, live music, and cupcakes for everyone. Full-day street party, food trucks, several stages, tall ships, a marketplace and performances. CTV Vancouver's Ann Luu will be on scene, and Juno Award-winners Wintersleep are headlining the event. There will be bands, community organizations, dancers, members of the RCMP and the Legion, and many others. 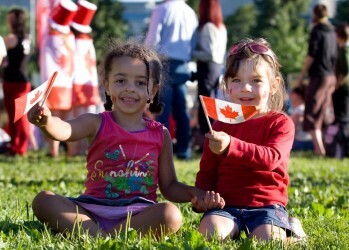 Celebrate Canada’s 149th Birthday at the site where British Columbia was born. Enjoy multicultural music, cake and ceremony at noon and family activities. Fort Langley’s celebration continues at the neighboring museums: Langley Centennial Museum and the BC Farm Machinery and Agricultural Museum – be sure to visit us all for a fun-filled day. Celebrate Canada Day with multi-platinum award-winning Canadian musician Matthew Good. A 1920 backdrop for multi-cultural family entertainment including a musician, displays, and demonstrations. Get up early, and head over for a pancake breakfast. Join the 8K charity run (or the shorter Kids Run), then continue the festivities at the square. Begin your day with a visit to the Haney Farmers Market and BIA Summer Market. Maple Ridge Museum and Archives Society will join in the celebrations. . Entertainment, singing, dancing, activities, food and fun will continue throughout the day. Come to Queen’s Park for a fun day of celebrations. There will be family entertainment and fun activities for everyone. A fun-filled day of festival favourites including entertainment, food, cultural village, artisans and a spectacular fireworks display. A Canada Day tradition! Start your morning with a delicious pancake breakfast in support of your community ($5/person). Performers on the Prospera Community Stage: Rosie Ribbonstar, Excel Martial Arts, Erik & Brittany, Ever After Princesses, Nilan Ritter, Taoist Tai Chi Society, Brook Potter, Korean Fan Dancers, Jana Seale, Marshall Forsythe. Children’s crafts and hands-on activities, Bouncy Castle, Face Painting and Fireworks at 10:30pm.